Tuscany has the most delicious dishes I have ever been lucky to taste. I am never sick of these Tuscan foods. Yet I am not lucky enough to have these dishes as often as I like. So these choices I made are my favorites. Nothing beats something fresh with the authentic quality to match. 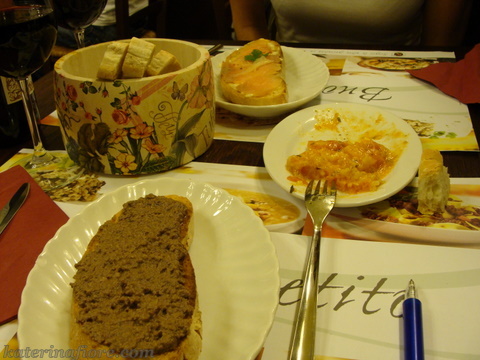 For antipasti, Crostini di fegato is a Tuscan food plus. A sauce made with chicken livers, butter, capers, anchovies, onion and broth, which is spread on warm Tuscan bread and literally devoured. This is a typical Tuscan starter. You can find many families in Tuscany with huge vats of fegato cooking in their kitchen over the weekend. It is a common snack to munch on as well. Something that is similar for a starter is an Antipasto Toscano, which is a cutting board full of the meats and cheeses of the region. Pappardelle is a first course made with pappardelle which is a thicker type of spaghetti and served with a wild boar sauce. It can be seasoned with other classic ingredients: porcini mushrooms, meat sauces, artichokes, sausages, etc. 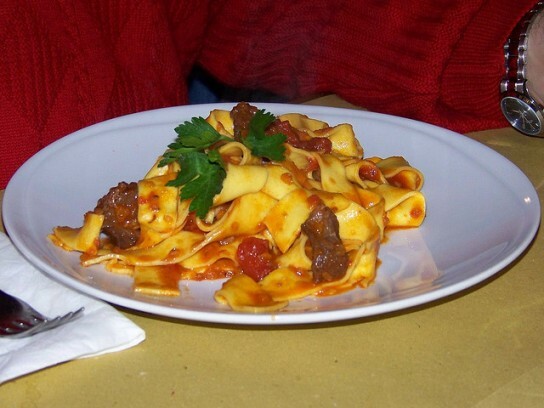 Pappardelle al pomodoro is a popular soup in Tuscany with large pieces of bread in it. 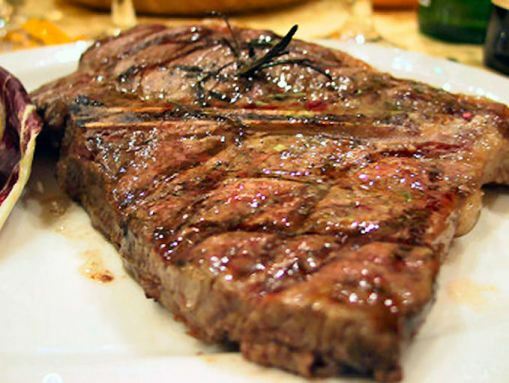 Bistecca all Fiorentina is a Florence style Porterhouse steak. It is cooked very rare or al sangue. It can be served with many things such as white beans, roasted potatoes or a tender salad. You can have it be cooked more if you like you meat medium or well done. But to taste a Fiorentina you must try it very rare. 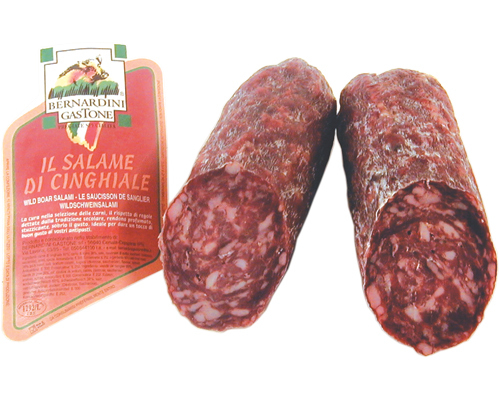 Cinghiale or wild boar is a very popular type of meat served with panini and antipasti. I adore it with brie cheese, pomodori secchi and tartufo salsa on a panino. Delicious! Cantucci are the famous almond biscotti that are made from scratch here in Tuscany. They are served with a glass of the very potent Vin Santo as a nice digestive liqueur at the end of a hefty meal. 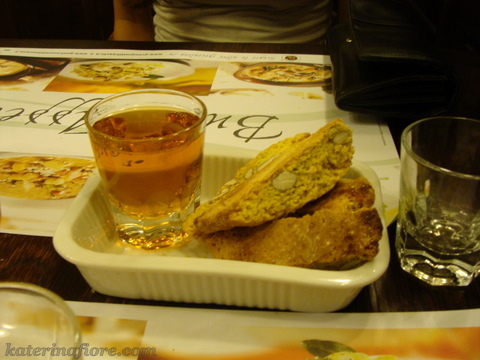 Tuscany is full of delicious things to munch on, don't sell yourself short by just trying the common dishes. Pizza and bruschette are great and all but open your mind to new tastes that will entice your palate. I tried Crostini di fegato for the first time in Lucca - delicious! Love the hearty food of Tuscany, perfect for this season as well.